GIG HARBOR, WA. 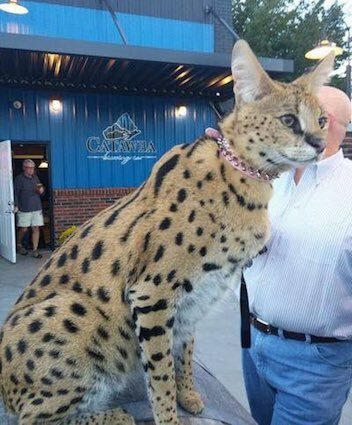 (THECOUNT) — A rare exotic cat got loose from his home in Gig Harbor and his owners are asking for help to bring him home. Tango is 6-years-old and familiar with dogs, his owner said. And he can run fast, very fast. The African serval is declawed and submissive to people, according to his owner Salan Weier. She said Tango will likely run away if approached, and can reach up to 40 mph for sustained distances. Weier said Tango escaped Sunday morning and was spotted near a YMCA in Gig Harbor, and again near the pond at Heron’s Key retirement home, reports KING5. Active in the day as well as at night, servals tend to be solitary with minimal social interaction. Both sexes establish highly overlapping home ranges of 10 to 32 km2 (4–12 sq mi), and mark them with feces and saliva. Servals are carnivores – they prey on rodents (particularly vlei rats), small birds, frogs, insects, and reptiles. 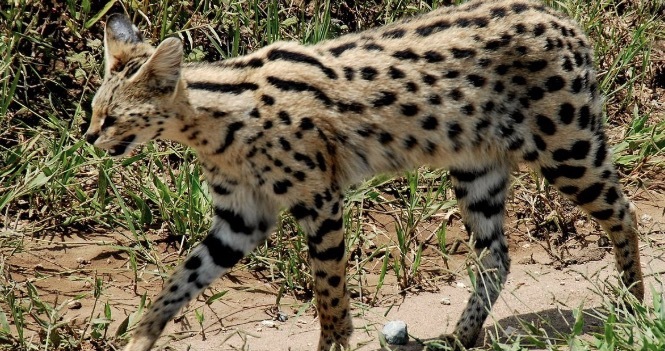 The serval uses its sense of hearing to locate the prey; to kill small prey, it leaps over 6 ft 7 in above the ground to land on the prey on its forefeet, and finally kills it with a bite on the neck or the head. Mating takes place at different times of the year in different parts of their range, but typically once or twice a year in an area. After a gestation period of two to three months, a litter of one to four is born. Weaning occurs at one month, and kittens begin hunting on their own at six months. The juveniles leave their mother at 12 months, according to wikipedia. 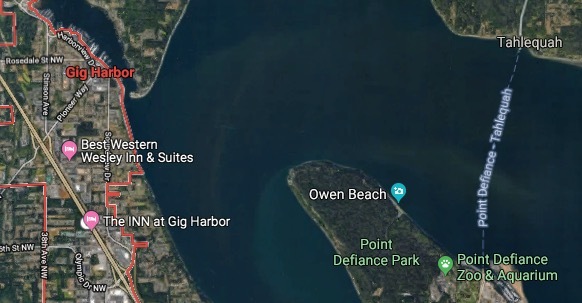 Geo quick facts: Gig Harbor is the name of both a bay on Puget Sound and a city on its shore in Pierce County, Washington, United States. The population was 7,126 at the 2010 census. Gig Harbor is one of several cities and towns that claim to be “the gateway to the Olympic Peninsula,” – Wikipedia. DUPONT, WA. 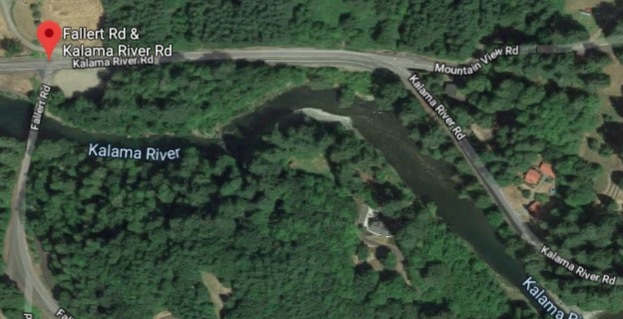 (THECOUNT) — Gary Duke and his wife Mary, from Kent, have been identified as the couple killed Tuesday after their SUV careened off a cliff near DuPont on Tuesday. Duke, 78, was operating a BMW SUV in the 19900 block of Nisqually Road Southwest when he reportedly suffered a medical event. 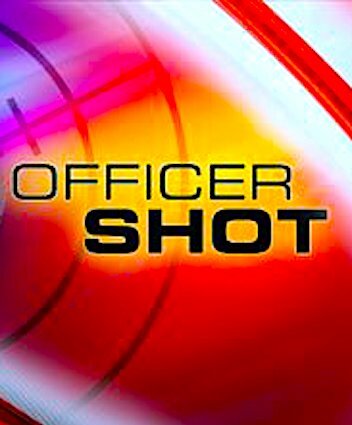 Duke and his wife, Mary, were able to summons help around 12:25 p.m. utilizing the vehicle’s OnStar system. Moments later, the system notified BMW that the SUV’s airbags had deployed, reports TheNewsTribune. 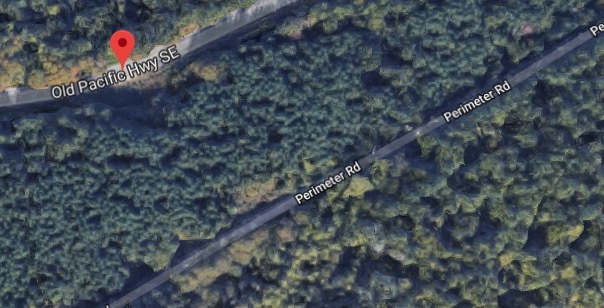 Pierce County sheriff’s deputies responded to the area and discovered the BMW crash several hundred feet below the road. The SUV came to a rest after striking a tree. Investigators are looking into the crash, and sheriff’s spokesman Ed Troyer said there were no skid marks or other indications that Duke attempted to slow down before veering off the road. Geo quick facts: Kent is a city located in King County, Washington, United States. It is the sixth largest city in the state. Kent is in the heart of the Seattle–Tacoma metropolitan area, located 19 miles south of Seattle and 19 miles northeast of Tacoma – Wikipedia. SEATTLE, WA. 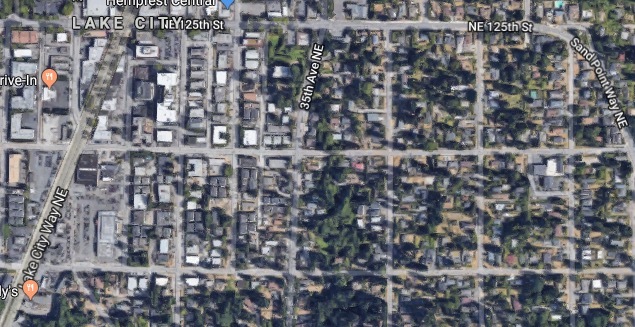 (THECOUNT) — Police say four people, including a Metro bus driver, have been shot in North Seattle and that one person has been detained. Seattle Police Chief Carmen Best told the Seattle Times that four people were shot and that one of them was killed. Seattle Police said officers were on the scene with multiple victims in the Lake City neighborhood. Price says it’s unclear whether the driver was targeted, reports KARE11. Geo quick facts: Lake City is the northeast region of Seattle, centered along Lake City Way NE, 7–8 miles northeast of downtown. A broader definition of the Lake City area includes all the land between 15th Avenue NE and Lake Washington, and between NE 95th and 98th streets to the Seattle city limits at NE 145th Street – Wikipedia. SPOKANE COUNTY, WA. 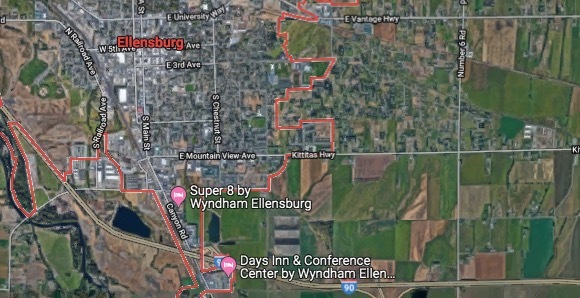 (THECOUNT) — Charles Mutschler, Eastern Washington University Interim Dean of Libraries, has been identified as the victim in a fatal three-car crash near Cheney, WA on Sunday night. 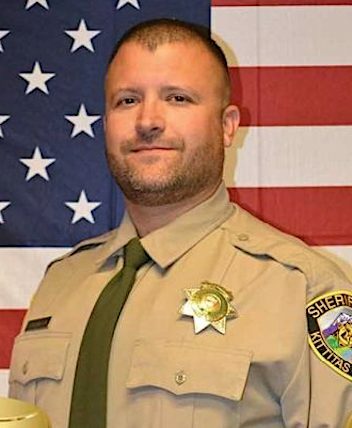 Mutschler was operating a vehicle, when for unknown reasons, crossed centerlines and into opposing traffic, striking one vehicle from behind before colliding with another head-on. The driver of the second vehicle, Kathryn M. Sinn, 21, of Newman Lake was transported to an area hospital with unknown injuries. Her current condition was not provided by officials. The other driver involved in the crash was not injured. 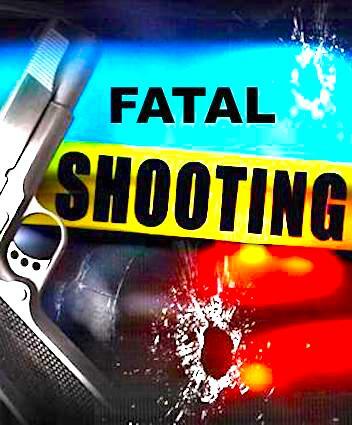 Mutschler was pronounced dead at the scene of multiple blunt force trauma injuries. WSP troopers continue to investigate the cause of the crash. They say speed, drugs nor alcohol were factors in the violent fatal crash. University President Mary Cullinan announced the sad news that Mutschler, 63, had died in a vehicle crash in a letter to the campus community on Monday. 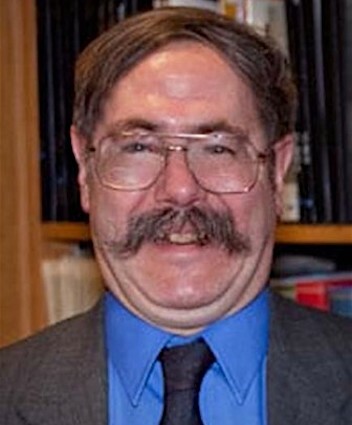 “Charlie was a beloved member of our Eastern family and contributed greatly to ensuring that our libraries flourish at the heart of our academic community. Charlie knew and lived EWU’s history, and he was delighted to share his knowledge and love for this university.” source KREM. Before Mutschler’s time as Interim Dean of Libraries, he served as a university archivist. He also received his master’s degree from Eastern Washington University and a doctorate from Washington State University. According to Washington State Patrol, Mutschler was traveling in the westbound lanes of Highway 905 near 5th Street. This is five miles east of Cheney. 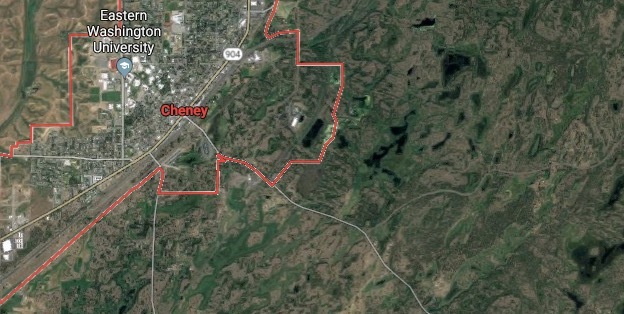 Geo quick facts: Cheney is a city in Spokane County, Washington, United States. The full-time resident population was 10,590 as of 2010 census. Eastern Washington University is located in Cheney, and its population grows to approximately 17,600 people on a temporary basis when classes at Eastern Washington University are in session – Wikipedia. SEATTLE, WA. 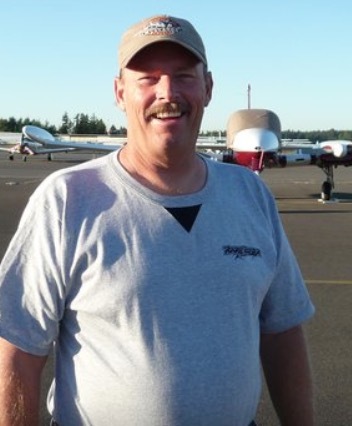 (THECOUNT) — Marc Drake of Everett, Washington, has been identified as the victim killed in a small plane crash on Whidbey Island Saturday. Drake, 63, was piloting an experimental aircraft when it crashed upon approach in dense woods near Langley, WA, according to Island County officials. A passenger in the aircraft was transported to a Seattle hospital in critical condition. The passenger’s current condition was not provided by officials. AUBURN, WA. (THECOUNT) — Hector Antonio Galeano has been identified as the victim found dead, wrapped in carpet, in the truck of an Auburn, WA, vehicle Friday. Police say, Galeano, 27, was found wrapped in carpet in the trunk of a car in Auburn. 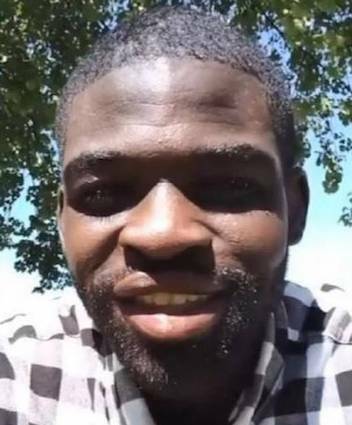 He had been reported missing on Wednesday and was last seen departing a friend’s house at 4:30 p.m. Dec. 3. Galeano’s vehicle was captured on video driving into the parking lot of the Auburn Community Event Center, in Lakeland Hills, Auburn, WA, around midnight, Police say. 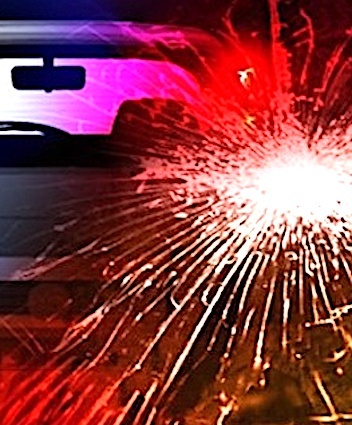 The vehicle remained at the location until police were alerted of an abandoned vehicle Thursday. They then located Galeano’s body. TUMWATER, WA. 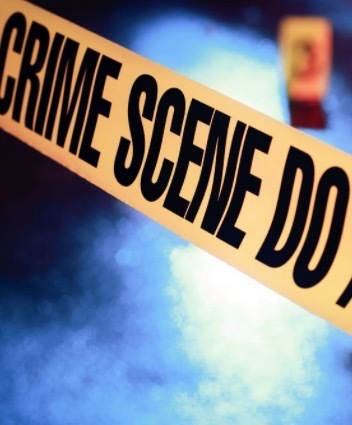 (THECOUNT) — A suspected gunman wounded two people at a Tumwater, Washington state, Walmart before being fatally shot by an armed shopper Sunday evening. The incident happened about 5 p.m. at the Walmart Superstore in Tumwater.